There are no photos with those IDs or post 17724 does not have any attached images! 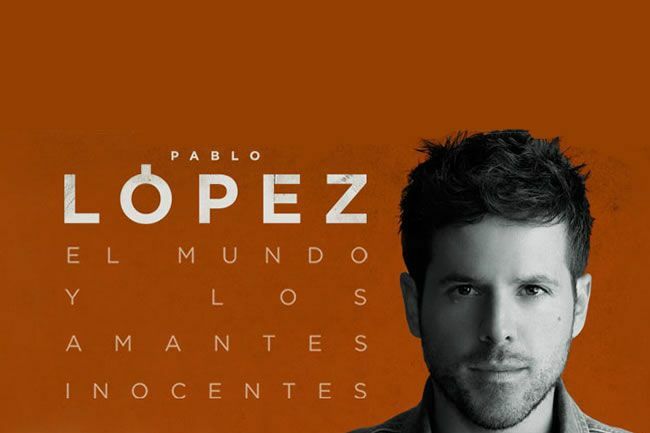 Pablo López will present his new work "The world and innocent lovers" at the Laboral de Gijón Theater the 21 of January of 2016, within the "Mundo Tour" tour. It is the second record of his record career and has been recorded at prestigious East West studios in Los Angeles and in Miami, Madrid and Barcelona. With his record debut "Once historias y un piano" he was nominated as "Best New Artist" at the Latin Grammy 2014 and Golden Record in Spain. Thanks to this first work he has risen to more than100 scenarios and has collaborated with great national and international artists of the stature of Jaime Cullum, Tiziano Ferro, David Bisbal, Malú, Bustamante, Dani Martín, Juanes and Alejandro Sanz. Thursday 21 of January of 2016, 20: 30 h.
Labor City of Culture, Gijón. Price: Trench, stalls and boxes: 20 €. Amphitheater: 18 €. Ticket sales: reception of Laboral City of Culture and the Niemeyer Center and on the 902 106 601 telephone. More information 902 306 600 / 985 18 58 60.